Following on from our report, The Myth of Racist Kids, we have now published an in-depth investigation of the hate-speech reporting systems that brand 34,000 children ‘racist’ or ‘homophobic’ every year. 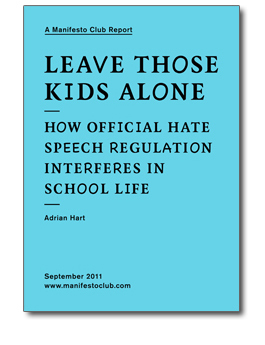 Leave Those Kids Alone, by Adrian Hart, shows the extent of ‘hate speech’ reporting systems imposed on schools by local authorities. The report gives examples of the kinds of petty playground spats that have been marked up as ‘hate speech’ incidents – which could have consequences for the child later in school life. The report argues that these reporting systems are an inappropriate intervention into school life and children’s play, and undermine teachers’ ability to set a moral example to their pupils. Surveying and monitoring children’s speech is no route to an equal and tolerant society. 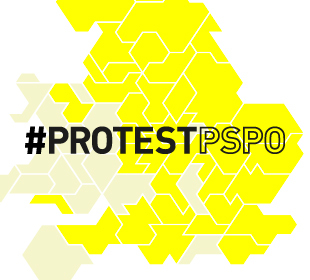 We call on the government to issue a definitive statement on ‘hate speech’ reporting, and make it clear that this is no longer a statutory duty for schools.